The free version of GCalToolkit is fully functional for small calendars of up to 500 events, and will download 500 events maximum for larger calendars. The free version of GTasksToolkit lets you organise, delete and create Google Tasks, but does not allow some advanced features such as import/export and view/restoring deleted Tasks. GCalToolkit and GTasksToolkit run on any version of Windows from XP to Windows 10 . It requires a recent Java installation (1.7, 1.8 or 9) which you can get from Oracle if you don't already have it. Click here for more information: http://www.oracle.com. For very high-resolution screens please use the latest Java 9 JRE to ensure that text is displayed at readable sizes. Most Windows machines already have Java so you won't have to install it yourself. If you have any trouble installing or running the software please get in touch. During installation your browser might block pop-ups, and you may have to "Allow Download" before your browser prompts you to SAVE or RUN the installer. You may also see Windows SmartScreen display a warning when trying to download the installer; click on "More Info' and you'll see a button to install. When you run the installer you should be informed that the software is signed by a verified publisher. Click above to download GCalToolkit Trial/Full version for macOS (10.7.4 and above), double-click the downloaded DMG file to open it, then drag the GCalToolkit icon to the Applications folder icon to install. Finally, click/drag the GCalToolkit Application icon into your Dock if you would like a shortcut. 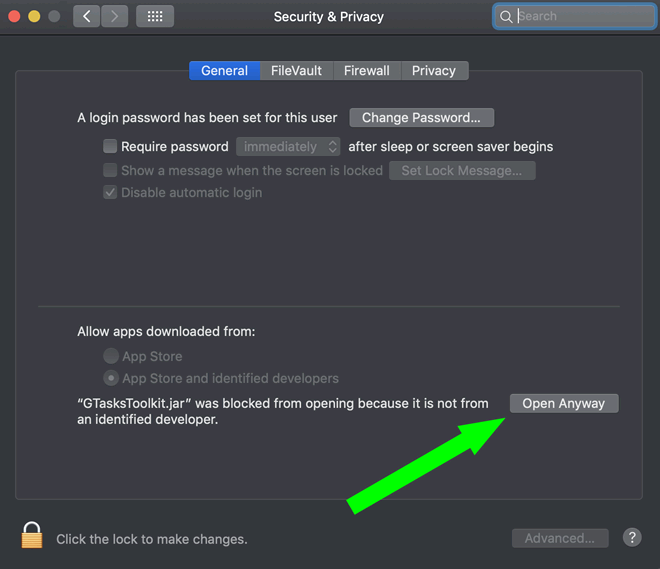 On recent Mac systems with "GateKeeper" you may have to change the Security Settings to "App Store & Known Developers" if it is set to "App Store Only" to allow GCalToolkit to install. To run GCalToolkit or GTasksTookit as Java applications on any platform please click one of the buttons above: these versions are exactly the same as the macOS and Windows versions. If you have problems please update your Java installation to the latest version. The ZIP file contains a JAR file and a "lib" folder - no installation is necessary, just decompress the ZIP anywhere on your machine (e.g in your "Progams" or "Desktop" folder), then double-click the JAR file to run the software, or create a link to the JAR file on your desktop/start menu. If you came here looking for cracks or serial... you have come to the right place ;-) Before you do something as stupid as installing a keygen on your precious machine, I can save you the trouble as I have tested most of the cracks and serials on youtube and torrent sites: not only will none of them actually get you GCalToolkit or GTasksToolkit for free, but without exception they install malware and/or spyware to your machine which could put your computer and Google account at serious risk. If you really are too poor to pay for the tools you need, then please drop me a line explaining your situation, and what you could offer do for in lieu of payment - the worst thing that can happen is that I might say no. Load multiple calendars from a Google Calendar account. This allows you to remove duplicates that are spread across several calendars (and select a "preferred calendar" in which to leave the original event), and search, delete, view or export events across multiple calendars within a single account. Make mass changes to "Busy/Free" status, Privacy, "Guests Can Modify", and Reminders based on your chosen filters and/or manual selection. Copy/Move events between calendars within an account. This allows you to split a calendar into several secondary calendars. For example, you can move all events with "Birthday" in the title to a new "Birthdays" calendar... or move all your "Busy" events into a separate "Busy" calendar... or put all your repeat events into a "Recurring Events" calendar. New! Shift events forwards or backwards in time, and create duplicate events to repeat at regular intervals: when you copy/move you can check the option "Shift Events" to change the time/date of all the highlighted/visible events. This lets you replicate days, weeks or even entire months without having to copy each event by hand. This can be very useful for rescheduling timetables or work shifts that follow patterns that do not work well with ordinary repeats. Although this function can also be used to create "fake" repeats please consider using genuine repeats whenever possible. The shift function will also allow you to change the time/date for repeat events, and will even shift exceptions to repeat rules and end dates defined by a date; as usual please back up first, just in case. Make mass changes to your reminders: With GCalToolkit you can reset thousands of reminders to either the default reminder (pop-up, email to be configured in your calendar settings), or no reminder at all. Colour coded cell backgrounds when events are marked for edit, copy, move, delete etc. Please export your Google Calendars as an iCal File (under Settings > Calendars > "Export") BEFORE using GCalToolkit - the software is very safe, but too powerful to use without making a backup first. Need GCalToolkit to do something else? Let me know. Expert help & technical support for all FULL VERSION users for ALL Google Calendar Problems! The FULL VERSION is valid for one household (or one business user) on unlimited Google Calendars. The Full Version allows you to process ALL EVENTS on ALL your Google Calendars. Please keep your account details private; Google place a limit on the number of daily requests software such as GCalToolkit can perform, so it's just not fair to everyone else if you hand out your details to all your colleagues and friends... and our server will detect multiple installations. Accounts may be suspended if misused, so please, one household... one business user. An Enterprise licence is available for organisations with multiple calendar accounts, and can be compiled for you (if needed) with your own API credentials. www.gcaltoolkit.com not affiliated with or endorsed by Google Inc.